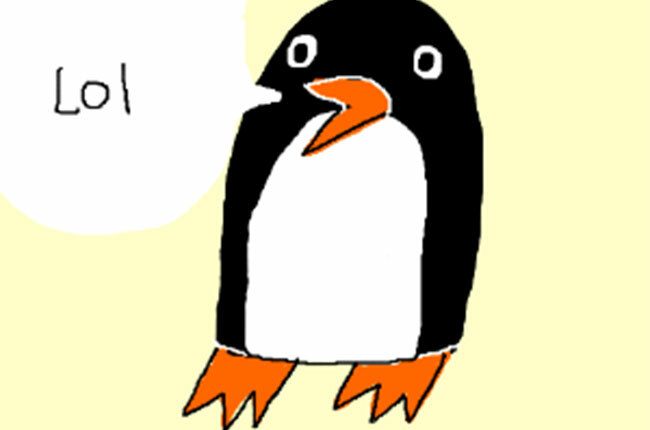 Q: What do penguins sing at a birthday party? A: Freeze a Jolly Good Fellow! Q: Where do penguins go to dance? Q: What do you call fifty penguins at the North Pole? A: Really lost, because penguins live in the Southern Hemisphere! Q: What do you get when you cross a penguin and an alligator? A: I don’t know, but don’t try to fix its bow tie! Q: Where do penguins go to the movies? Q: What’s a penguin’s favorite salad? Q: Who’s the penguin’s favorite Aunt? Q: Where does a penguin keep its money? A: In a snow bank! Q: What do penguins wear on their heads? Q: How does a penguin build its house?